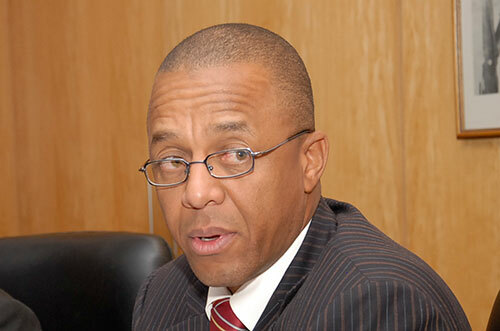 The monetary policy committee of the Bank of Namibia held its bi-monthly meeting and decided to maintain the Repo rate unchanged at 6.75%, following a review of global, regional and domestic economic and financial developments. Announcing this at a press statement this week, Deputy Governor of BoN, Ebson Uanguta said that the domestic economy remained weak during the first two months of 2019. According to Uanguta, the slowdown in activity was reflected in sectors such as mining, agriculture and construction. Other sectors, including transport and communication, wholesale and retail trade as well as manufacturing improved during the same period. “Going forward, the domestic economy is projected to record a marginally positive growth rate in 2019,” Uanguta added. Furthermore, he noted that inflation edged up from the 3.6% recorded during the same period last year to 4.6% during the first two months of this year, while Private Sector Credit Extension growth increased to 6.3% from the 5.7% recorded in the first two months of 2018. As at 31 March, the stock of international reserves stood at N$32.6 billion, compared to N$30.7 billion reported in the previous monetary policy committee statement. Uanguta said that at this level, the reserves are sufficient to protect the peg of the Namibia Dollar to the South African Rand and meet the country’s international financial obligations.